The GAA has confirmed that it has scrapped plans to change the structure of next year's Hurling League. Antrim had been among a number of counties furious at plans to make changes to next year's league. The controversial proposals included Cork and Limerick being admitted to a new eight-team Division 1A with the Saffrons featuring in Division 1B. However, following widespread upset in Wexford, Offaly and Antrim, the structure will be unchanged from 2013. This means that the Saffrons can look forward to taking on All-Ireland finalists Cork and Munster champions Limerick in Division 1B, which will also feature Laois, Offaly and Wexford. Cork suffered relegation from Division 1A this year with promoted Dublin now in the top division along with All-Ireland champions Clare, Galway, Kilkenny, Tipperary and Waterford. 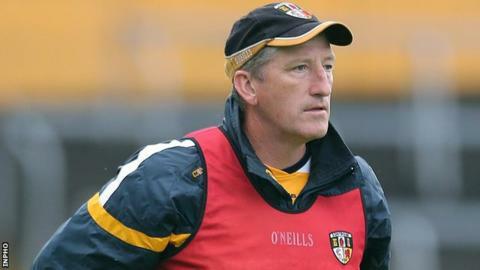 Antrim manager Kevin Ryan had described the original proposals to change next season's structure as "sickening". "I think it is a bad thing for hurling but it is typical. These counties think they have a right to be in 1A," added Ryan in October.